More than two thirds (67 per cent) of female police staff say bullying is a problem at work, and almost three quarters (72 per cent) are not confident that their force will deal fairly with any complaints of bullying, according to a new UNISON survey released today (Friday). 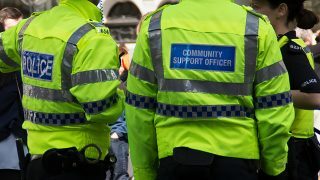 The survey of 1,000 police staff – to be launched at UNISON’s annual women’s conference in Brighton – is the first to explore the prevalence of bullying in the police since the introduction of the police code of ethics in April 2014. The UNISON research reveals that women who work as police staff – 999 call handlers, police community support officers, crime scene investigators, fingerprint experts and detention officers – are 28 per cent more likely to be bullied than their male counterparts. Almost six in ten (58 per cent) of the female police workers surveyed said they had been bullied, compared to 45 per cent of their male colleagues. Humiliation, being belittled or embarrassed was identified as the main form of bullying for female staff (43 per cent). This was followed by excessive criticism (37 per cent), being excluded or victimised, and excessive work monitoring (all at 29 per cent). Both male and female respondents said that poor management was the most commonly cited cause of bullying (73 per cent), closely followed by workplace culture (47 per cent) and cuts to staffing (36 per cent). Commenting on the findings UNISON General Secretary Dave Prentis said: “This survey reveals the unpleasant truth about what it can be like for women working in the police today. Such levels of bullying are completely unacceptable. “It is high time the police and the Home Office acknowledged the extent of the problem and began to tackle bullying in a meaningful way. This is a real issue within police forces, and our findings should be a wake up call for senior police leaders and politicians alike. UNISON is keen to work with the College of Policing and the National Police Chiefs Council in devising and implementing a strategy to tackle bullying. Table: Percentage of women who reported particular forms of bullying. 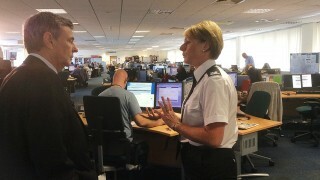 – The police code of ethics sets and defines the standards of behaviour for everyone who works in policing. 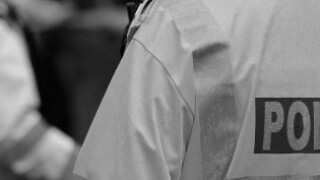 It was introduced in April 2014 and states explicitly that all those in the police workforce must ensure that their: ‘behaviour and language could not reasonably be perceived to be abusive, oppressive, harassing, bullying, victimising or offensive by the public or your policing colleagues’. The survey was carried out online last summer. A total of 1,000 police staff responded. UNISON’s annual women’s conference is taking place in Brighton between Thursday 11 February and Saturday 13 February. We are calling for an end to bullying and harassment at work. Not only does it have adverse effect on the individual but it affects morale and performance of the workforce as a whole. Many members may face bullying and harassment at work, but everyone is entitled to work in a safe environment, free from intimidation or abuse. Your UNISON rep can help you stop bullying and create a safer workplace.